Antiquissima Reserva is a true cascade of flavors: its complex, smooth texture has notes of dried violet, pastries, tobacco, leather and walnut, culminating in a pure velvet long finish. Aliança Vinhos de Portugal is proud to have a priceless collection of fortified wines spanning more than 80 years of winemaking excellence. 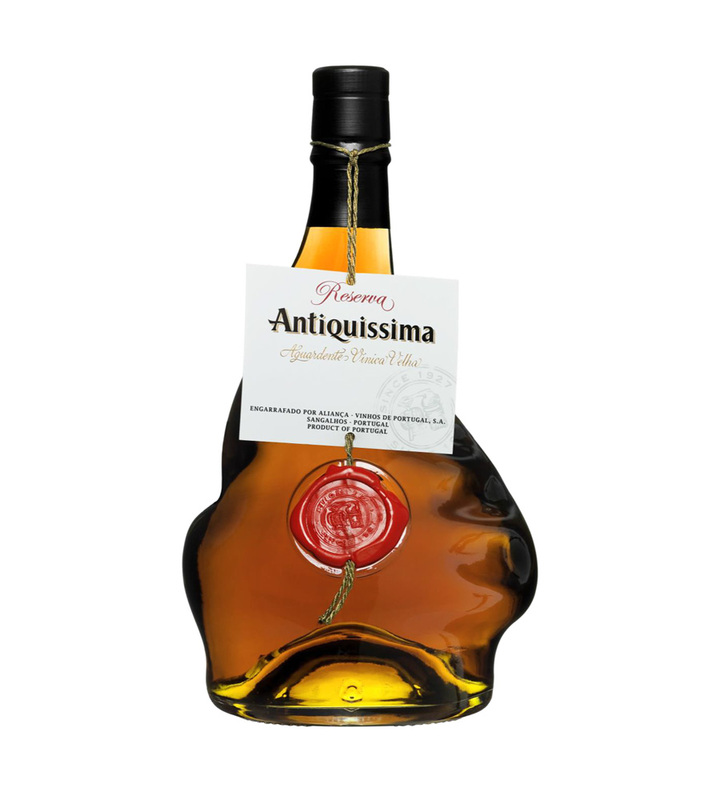 The Antiquissima Reserva is one of the top excellence examples of this collection. Elegance is the defining characteristic of Antiquissima Reserva, a careful blend of eaux-de-vie made from wines distilled selected after a careful selection and an 8years ageing in oak barrels. Its personality is very faithful to the original aromas of the wine characterized by delicate fruity and floral notes. During the ageing process our winemaker is constantly striving for the extremely pronounced aromatic character typical of our aguardentes style.